...... on the shelf over the fireplace. There is no need to fuss, don't you think so? This place is made for you. Install Animated Desktop Wallpaper "Fireplace" on your computer and have a rest, holding your legs near the fireplace. Forget about your problems and it won't appear silly if you fall asleep in the chair near the fireplace. Turn your computer into a realistic fireplace and set your mind at rest! Fireplace 3D makes it possible to turn your computer into a realistic fireplace. Make your desktop sparkle and sing with Christmas Fireplace 3D Screensaver. 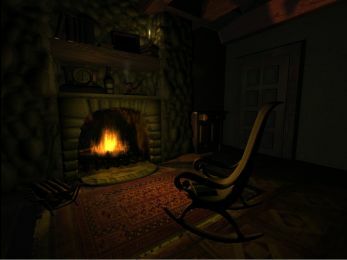 Warm and cozy 3D fireplace screensaver perfect for you home or office. Qweas is providing links to Fireplace 5.07 as a courtesy, and makes no representations regarding Fireplace or any other applications or any information related thereto. Any questions, complaints or claims regarding this application Fireplace 5.07 must be directed to the appropriate software vendor. You may click the publisher link of Fireplace on the top of this page to get more details about the vendor.